Philippe Starck Luxury Bathroom Designer , one of today’s most famous creative minds and a serious, top international designer. The Frenchman has designed almost everything from café chairs to toothbrushes, from stools to prefabricated houses. However, one of his greatest successes is the Axor Starck collection, with which Hansgrohe caused quite a stir in 1994 – the first mixer with a joystick-like operating lever. Axor Starck focuses on the basics, on elementary forms. A clear function and a simple effect. There are no distractions. The result: a timeless bathroom collection that will never go out of fashion. Images are evoked of our past dealings with water. For example, the slanted spout resembles that of a water pump while the bath resembles an old-fashioned tub. The Axor Starck bathroom mixers are available in two different handle versions: a modern pin handle and, in the classic version, a feather handle. “Just mix it” is the motto of the Axor ShowerCollection. The modular design can be used to transform the shower into a tailored-made spa. The simple, customisable system comprising shower heads, mixers and accessories provides almost endless design freedom. Of course, the Axor ShowerCollection designed by Philippe Starck is also the perfect shower complement for the Axor Starck and Axor Starck X collections. Whenever we discover an object or space designed by Philippe Starck, we enter a world of wall-to-wall imagination, surprises and fabulous fantasy. For more than three decades, this unique and multifarious creator, designer and architect has been a part of our daily lives by creating unconventional objects whose purpose is to be “good” before being “beautiful”. Iconic destinations that take the members of his “cultural tribe” out of themselves and, most importantly, towards something better. His father, an inventor and aeronautic engineer, gave the young Philippe Starck the desire to create and the capacity to dream. Several years and several prototypes later, he was commissioned to work for President François Mitterrand. This was also when he began designing furniture for leading Italian and international firms. 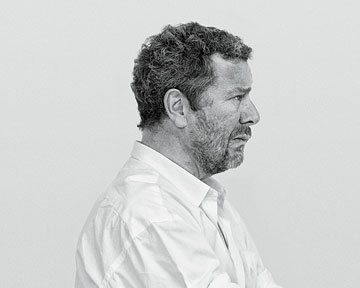 Philippe Starck is a tireless and rebellious citizen of the world, who considers it his duty to share his ethical and subversive vision of a fairer world. He stays tuned in to our dreams, wants and needs – sometimes before we get there ourselves – by making his work a political and civic act that he accomplishes with love, poetry and humour.